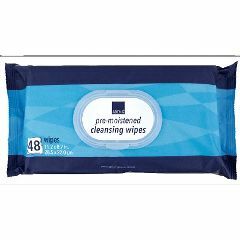 AllegroMedical.com presents The Abena® Adult Disposable Cleansing Wipes which are pre-moistened and specially designed for cleansing or washing any part of the body. These Abena wipes are hypoallergenic and dermatologically tested. Free of added dyes, alcohol, phthalates and parabens. These washcloths are very handy to use either in the home or on the go. Each sheet is moist, not wet, and will help you clean up with ease. Every durable sheet measures 8.7 X 11.2 Inch.